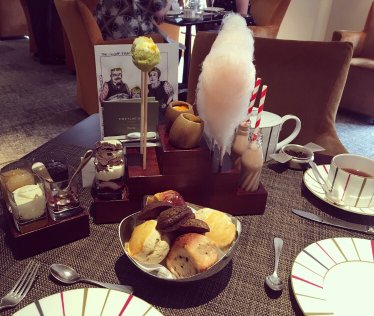 To celebrate the other halfs birthday I treated us both to a Charlie and the chocolate factory themed afternoon tea! The themed afternoon tea is located in London at the beautiful 5* star hotel.. One Aldwych. 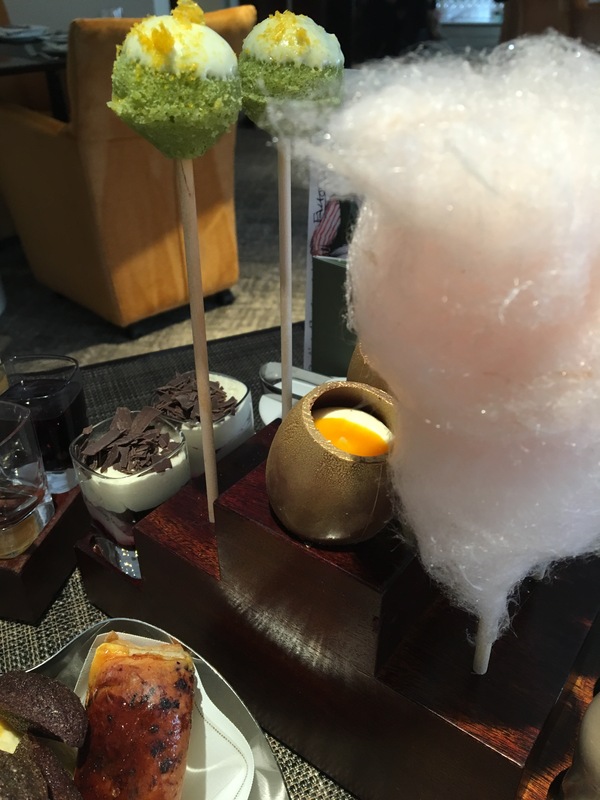 When we arrived at the One Aldwych we were shown upstairs to the Indigo restaurant…it was a small restaurant area on a balcony overlooking the downstairs level of the hotel. The seats we sat in were like luxury velour armchairs and were super comfy! The staff were so friendly and welcoming and had an elegant charm about them. They were most helpful and made the afternoon tea feel special. 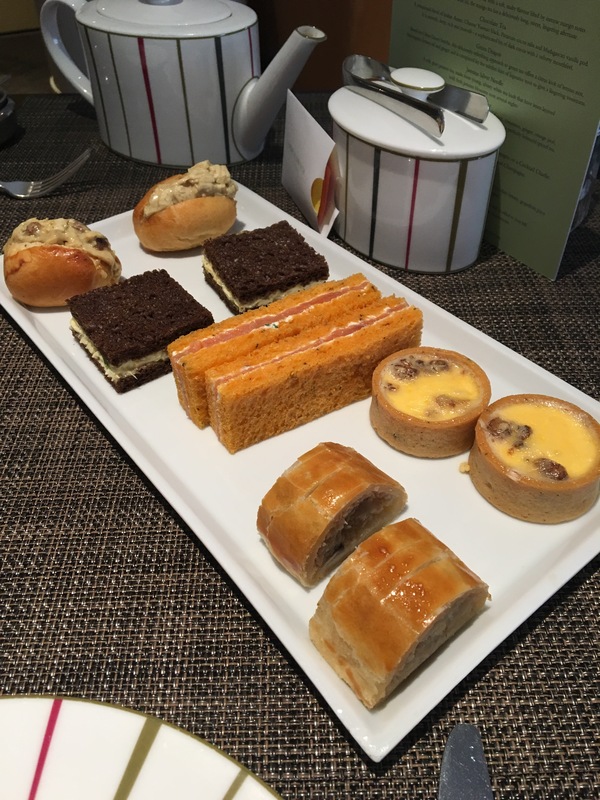 We opted for the classic afternoon tea which suited us perfect, but you could choose for a cocktail or champagne. I chose the chocolate tea,which was lovely. I never drink tea normally but this was a nice change to be able to enjoy it. My other half chose the Mango flavoured tea. Everything on this plate tasted heavenly! The only thing I wasn’t too keen on, was the winter vegetable Wellington..only because the flavour of parsnips came through strong and I do not like parsnips at all! The other half was happy with that as he was able to eat my half. 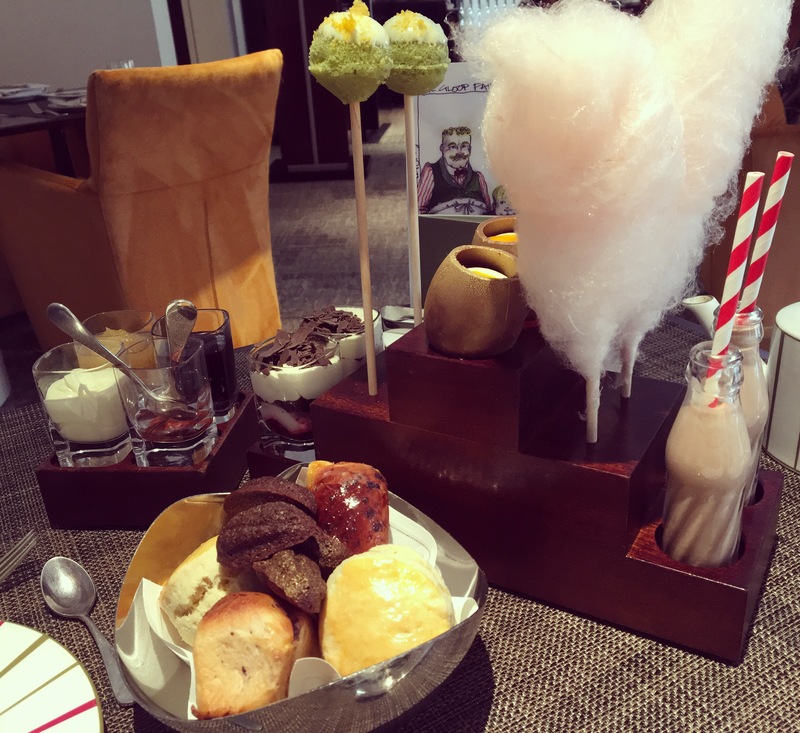 We demolished the lot and were offered seconds….of course we said Yes please!! They bought out another plate,identical! We were then served this beautiful looking display of goodies. It tasted as good as it looks!! Well there is one word for all of this…..WOW! It all just tasted amazingly superb on the taste buds and complimented eachother just right! 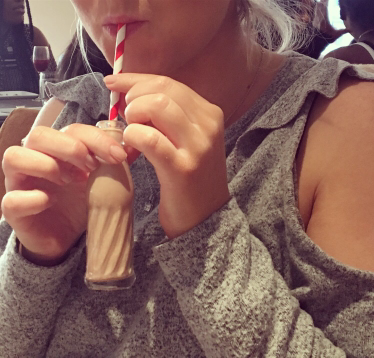 The chocolate caramel milk looked so cute in its mini glass bottle and I loved the fun little straw poking out the top. If you know your candy and have a sweet tooth like me, then you will be able to guess this is flavoured Rhubarb and Custard! 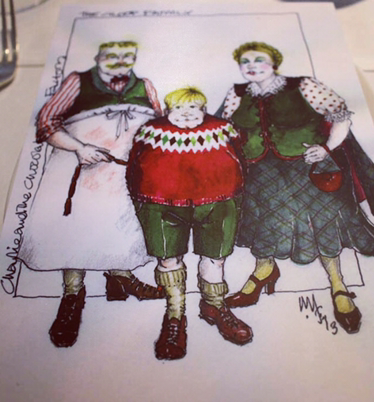 It is made from the rhubarb and custard sweets…totally amazing!